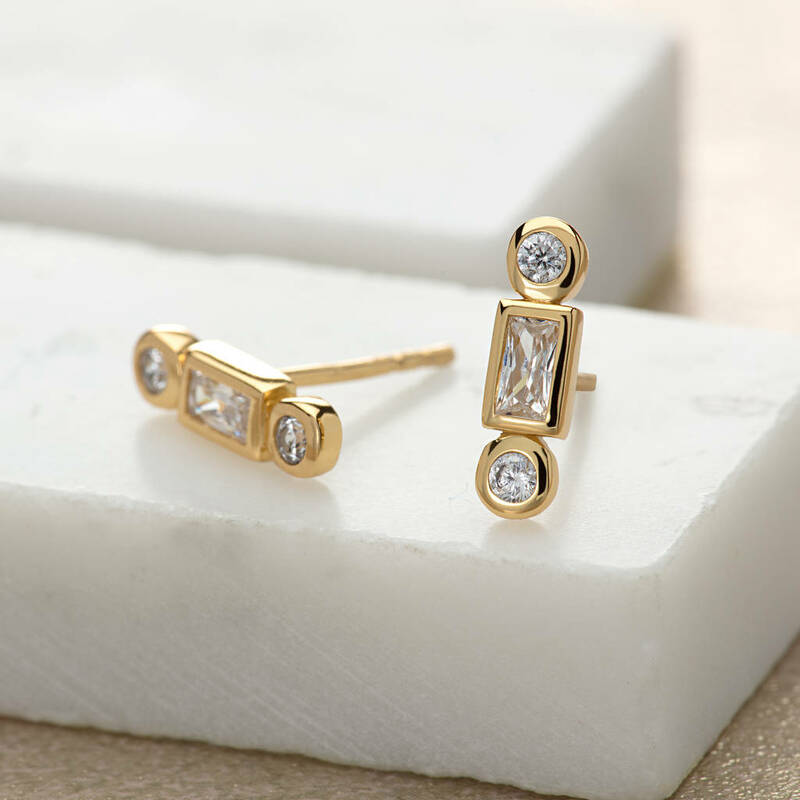 These stud earrings feature flawless stones without inclusions that look like treasure from an Art Deco auction. Try slantedfurther up the ear, perhaps a centimetre away from your fave hoops, if you're a multi-piercing kinda gal. 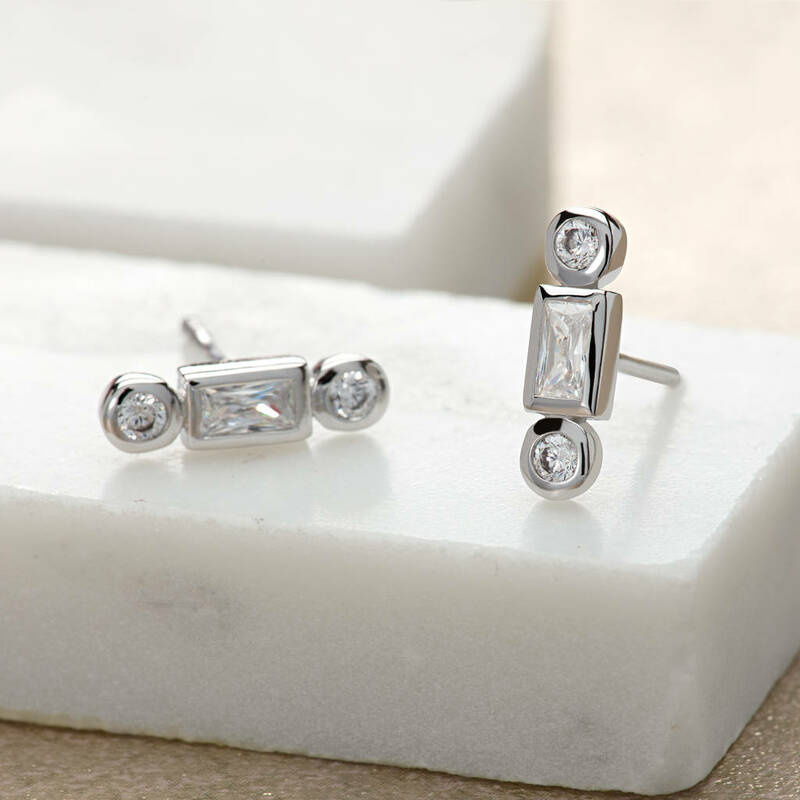 The 1920's style baguette cut, with parallel facets deliver incredible sparkle. You'll look a million dollars. Choose from Gold or Silver with matching bangle and ring available. 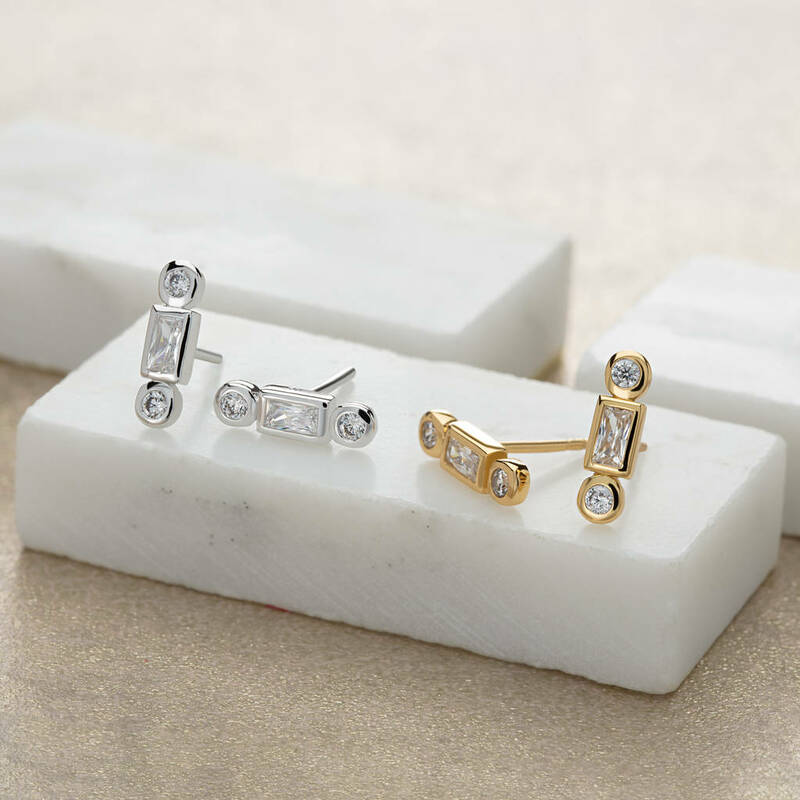 Gold Plated Sterling Silver or Sterling Silver with Cubic Zirconia. 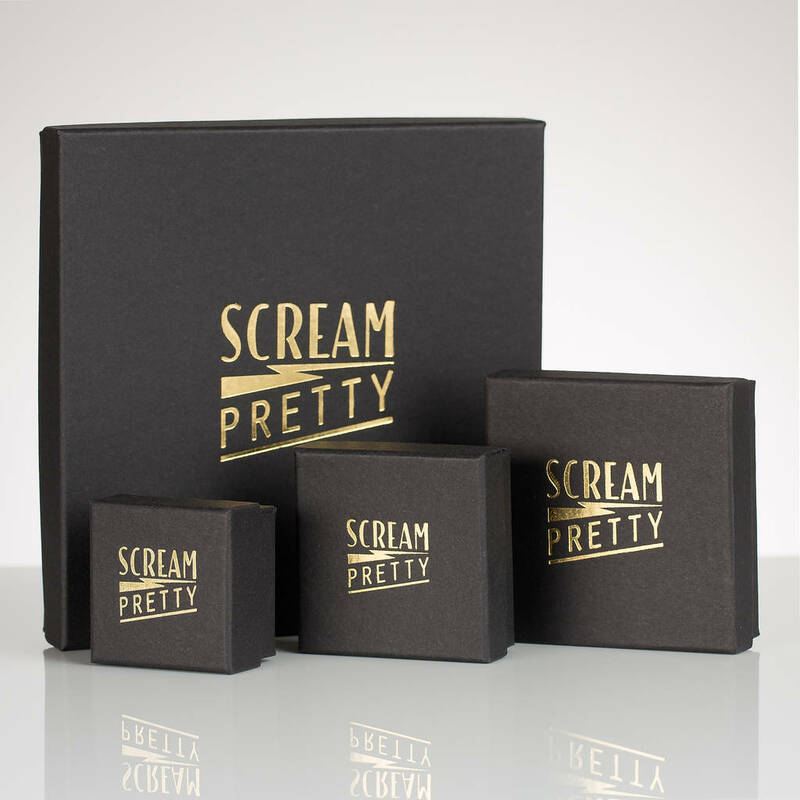 This product is dispatched to you by Scream Pretty.